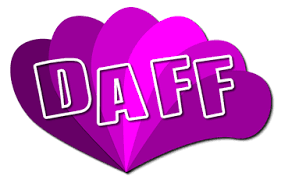 Founded in 2008 the “DAFF – Dachverband Burgenlaendischer Frauen-, Maedchen- und Familienberatungsstellen” is the head organization of seven Women Counselling Centres and two Women Education Centres in Burgenland. Burgenland is the most eastern area of Austria, a rural area all over with only small villages. Our websites can be found under www.frauendachverband.at (so far only in German, we are sorry). Women’s Information Centres (WIC) have been created up from the 1980ies with strong support of the federal ministry for women’s and equal affaires and the Austrian labour market office. All WCC are giving psychosocial and legal advice in all aspects of living as there are personal crises, problems in partnerships (divorce, illness, violence, alcoholism), problems about education or among the generations. Related to the labour market we do counselling, career guidance, coaching or training. In our centres we address women and girls at all ages and nationalities as well as families and seniors. In a close cooperation with the Austrian Labour Market Service (AMS) and several EU fundings we offer a wide range of courses to create new or better chances for girls and women on the labour market or to develop their personal skills. Part of our organization are two WOMEN JOB CENTRES, where we offer workshops, analysis of potentials, proof of competences, etc. and we already organized the education of women as so called “senior animators” – people who are working with seniors in nursing homes.